Good Day Revolutionaries! We have been on a bit of a Peanut butter kick lately. It tastes great and easy to use on almost anything. Not many people think of peanut butter as a healthy food, owing to the high caloric content and the amount of fat that is found in commercial peanut butter products. However, there is a surprising amount of nutritional value found in the product, especially the organic brands on the market today. 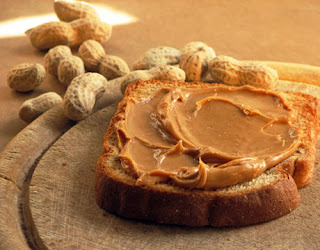 Here is some information regarding peanut nutrition and the several benefits of peanut butter. Because of the fat content, there is the perception that peanut butter is not a viable option. The truth is that the fat in many brands are monounsaturated. This means it is gentler on the body and may in fact help with keeping bad cholesterol at bay. While it is still a good idea to enjoy peanut butter in moderation, there is no real reason to avoid it due to the amount of fat in the product. One of the health benefits of peanut butter is the amount of fiber found in each serving. The fiber is helpful in maintaining a health colon and also contributes to helping the body regulate blood glucoselevels as well as fight bad cholesterol. Fiber can also help minimize the chances of developing colorectal cancer. In order to boost these benefits of peanut butter slightly, it is a good idea to go with one of the organic or natural brands found at health food stores. One of the main benefits of peanut butter is the relatively high amount of protein found in each serving. Protein is necessary to build muscle and keep the body strong. The presence of protein inpeanut butter makes it a much better choice for a quick snack. There are also some important nutrients found in the product. In varying amounts, just about any type of peanut butter will contain niacin, Vitamin E, calcium, copper, potassium, iron, andmagnesium. 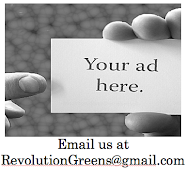 Again, the organic products will offer more nutrition for your body to work with. One of the benefits of peanut butter that many people are unaware of is the presence of resveratrol; this agent has anti-microbial properties that help the body to effectively deal with bacteria and various types of fungi. Eat up and live longer!! Do You Have Ultra Endurance?